The other day was a busy one for us. My 3 kids and I spent the entire day shopping for gifts. We left the house around 10 AM and returned around 5 PM. I was helping them find that perfect gift for several people on their lists. Also, I squeezed in a few errands of my own. At the end of the day, I thought to myself that there was quite a bit that I'd like to share with you. First, I had a return to make. I had bought something as a gift for someone last month, then changed my mind on it. In going to make the return, I read the back of the receipt. Returns with a receipt made within 14 days, only. What?! I thought most retailers give you 30 days. But not Barnes and Noble. Unless. . . . you ask for a gift receipt, the sort of receipt that doesn't give dollar spent information. I had asked for a gift receipt, so the rules were different. At Barnes and Noble, with a gift receipt, you have 60 days to make a return. So I presented the gift receipt, and not the regular receipt. I made the return and was issued a gift card in it's place. No problem. I'll use that sometime. So, lesson learned, read the details on the return policy, and ask for gift receipts on all gifts. Second, we made a stop at Trader Joe's for dried fruit, nuts, and bananas. I've said this before, many months ago, but at Trader Joe's bananas are priced per piece. A small banana cost 19c and a large banana cost 19c. So, why choose small bananas, when I can buy the larger ones for the same amount of money. On a bunch of bananas, the outside bananas are generally smaller than the inside ones. 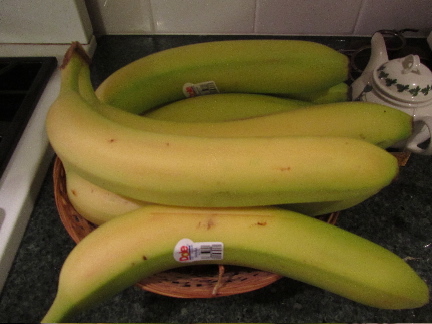 I remove the inside bananas from a couple of bunches, and buy just the large ones. There are actually quite a few people who prefer the smaller ones -- those with smaller appetites, on a restricted calorie diet, or with small kids. So I don't feel bad taking only large bananas. When I got my bananas home I weighed them individually. The smallest of them weighed about 9 3/8 oz. and the largest about 9 3/4 oz. I averaged about 32c per pound with my banana purchase. In the store, I was sizing up the small bananas, and my guess is they weighed about 5 oz each. Big difference. This per piece pricing method is often found in drug stores that sell a basket of fruit, per piece, near the cash register. Walgreen's has a basket of apples, oranges and bananas for 25c each. If I have my choice between large fruit or small, for the same price, I'm going to choose the large. In bottled goods, when the bottle is transparent, I can easily see which container is most full. I'm going to take a minute to look at the stock on the shelf and choose the most full one. They are all sold for the same price. So, my message here is whenever items are sold per piece and the size or fullness can be determined by sight, look for the largest/fullest. An an FYI, I paid about 32c per pound for bananas, while my local grocery store charges 79c per pound! After a long day driving around town (and it was long), I came home to the need to put together a quick dinner. This is where I really appreciate having leftover turkey frozen in some stock, and rolled-out pie pastry in the freezer. In just 20 minutes of my time I put together a homemade turkey pot pie. In a large saucepan, I cooked an onion (chopped) in a little oil, a potato (diced), the turkey in stock, seasonings and flour for the gravy part, and mixed vegetables. Topped all this with a crust and popped a turkey pot pie in the oven, to bake up the crust. 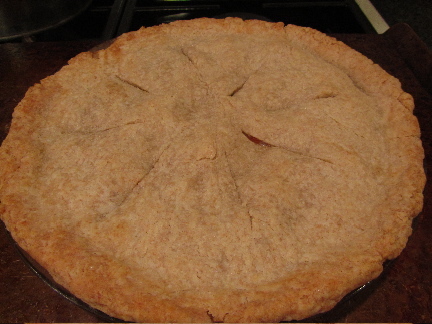 And for dessert, I made something that is really, really easy to make. And would be a great last-minute gift idea or a treat to add to a dessert tray. 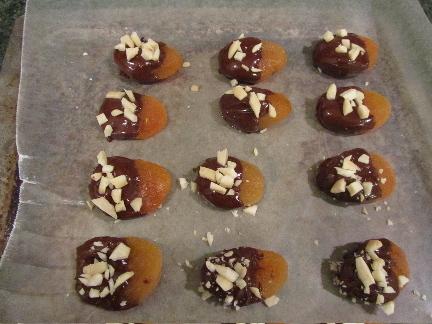 They're chocolate-dipped dried apricots. Melt about 1/2 cup of chocolate chips in a microwaveable dish or cup for 30 seconds. Remove from microwave and stir. Melt another 30 seconds, stir again. If needed, melt in 20 second-increments. 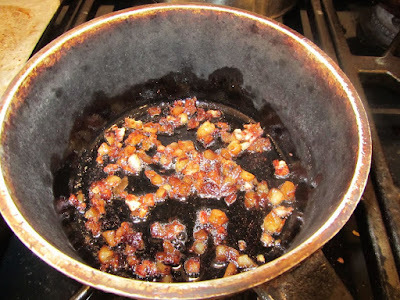 Stir in about 1/2 teaspoon vegetable shortening (like Crisco, what you use for pie pastry, not butter or margarine which contain trace amounts of water and will ruin your melted chocolate). Stir well, and dip dried apricots about 2/3 of each into the melted chocolate. Allow to firm up on the counter overnight, or in the fridge for 1 hour. Anyways, these were the frugal highlights of my day. 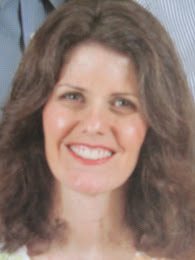 What have been the frugal highlights of your days, recently? When my son was little, he always bought his candy bar by which one weighed the most because he wanted to get the most for his money. His brother shopped the more conventional way and bought the one he liked the best. Both boys were happy with their special treats in the end. that's too funny! Sometimes character traits pop out early in life, don't they? My daughter is the same way, preferring the smaller bananas. We usually wind up splitting one. 44c a pound is still a really great price on fruit. Melons, in season, are about the only other fruits so inexpensive. A few years ago most of the banana crops in Australia were wiped out by a cyclone and the price went up to around $13 a kilo (roughly $26 a pound). Needless to say, I did not buy bananas for about a year (and missed them a lot!). I don't know who would even buy bananas at that price! Great find on the ice cream maker. Homemade ice cream/sorbet sounds super yummy.